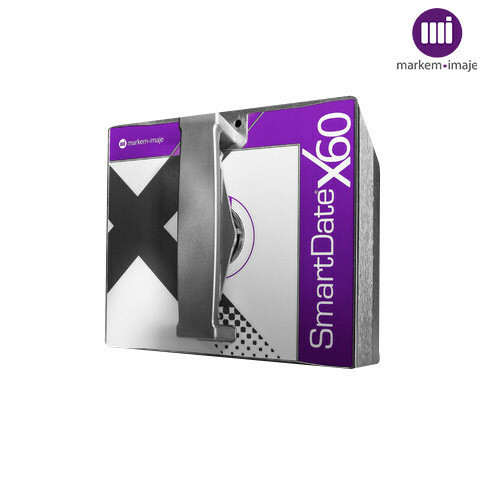 Designed for the most demanding, high-volume applications, the SmartDate X60 delivers high-resolution thermal transfer printing at ultrafast speeds.Its long-life thermal can print 300 dpi codes on flexible packaging film at more than 350 packs per minute. Excellent quality printing using full resin ribbons and improved quality of difficult applications. Standard ribbon reduces changeovers and improves cost per print. Printer and Cassette – Durable wear-resistant design. Adaptable for intermittent or continuous line configuration. Left or right-hand operation. Meets extreme production line speeds. Multiple ribbons save features. Industry leading 0.5 mm gap between prints. Capable of serialized 2D codes. Controller – Multiple user interface options including color touch screen and web pages. Dedicated buttons for frequently used functions. USB for image and file data transport. Equipped with power save mode.